Almost a decade in the making, Big Beat is very proud to finally announce the release of The Zombies' "Into the Afterlife". a natural sequel to our acclaimed best-selling box set "Zombie Heaven", this compilation is essentially "what they did next". The Zombies split in April 1968 upon the completion of their masterwork "Odessey & Oracle". Songwriters Rod Argent and Chris White busied themselves forming a production company, whilst the other band members, including lead singer Colin Blunstone, depressed by the lack of recognition for "Odessey", retreated back to 'civvy street'. Throughout 1968 Chris and Rod demo'ed their new material with an embryonic version of what would become the group Argent. 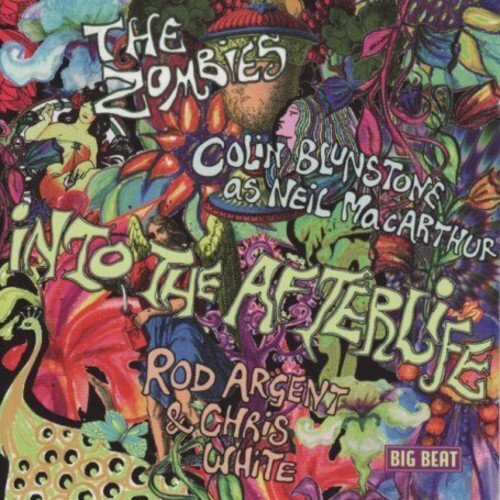 The best of these experimental recordings are included on "Into the Afterlife" and as with The Zombies, the songs and performances are better than most other groups' regular releases. Meanwhile, Colin Blunstone had been romanced back into the studio by producer Mike Hurst and, under the nom-de-disque of Neil MacArthur, made three excellent singles including a revamp of 'She's Not There' that hit the UK Top 40 in 1969. ACE 2007.